Home Musicians Calysta Bevier – Biography, Wiki, Quick Facts, Where Is She Now? Calysta Bevier is a young talented singer, a cancer advocate and indeed a warrior. Her meteoric rise to stardom started from a place of despair. However, being the fighter she is, Bevier triumphed over her challenge and has made a miracle out of it. The youngster became an internet sensation in October 2015 after her cover of Rachel Platten’s Fight Song went viral. She attained the full celebrity status in 2016 as a contestant on the reality talent show America’s Got Talent. She thrilled the judges at the auditions and earned her self an automatic spot in the quarter-final stage of the competition. Calysta Bevier was born on September 17, 1999, in Bowling Green, a town in northwest Ohio. Her father Adam Bevier is a firefighter. Her mother Missy Mason Bevier doubles as her manager and travel companion. She has 3 younger siblings; LaVaya, Adam, and Gavin. The family has changed homes severally and they currently reside in Grand Rapids, Ohio. The incredible singing talents possessed by Bevier began to manifest as early as the age of three. While growing up, she displayed a passion for entertaining other people. She had her high school education at Otsego High School and was a member of her high school cheerleading team. She equally won several talent contests in her school. However, none of these gave her the kind of exposure she needed to really shine. Caly’s journey to stardom began officially on September 29, 2015. And what did it take? A 4-minute video clip of the young singer giving an incredible rendition of Rachel Platten’s 2015 hit track – Fight Song. The upload attracted thousands of viewers within a short while and turned the youngster into an internet star. Among the thousands of viewers who got thrilled by Bevier’s Fight Song cover was popular TV personality Ellen DeGeneres. A month after it’s original upload, the media mogul shared Bevier’s clip on her Facebook page and the video went totally viral once again. In December 2015, Ellen featured Calysta Bevier on her popular talk show, Ellen DeGeneres Show. To top it off, she equally invited Rachel Platten on that episode and both singers performed a duet of the Fight Song. Appearing on the popular TV show gave Calysta Bevier a whole lot of exposure and after that, it was one gig after the other for the talented songbird. Bevier was eventually thrown into the spotlight once again when she competed in the 2016 season of America’s Got Talent. On her June 21 audition, Calysta wowed the judges and the audiences with her stellar performance which earned her the “Golden Buzzer” from the not-easily-impressed judge Simon Cowell. The Golden Buzzer from judge Cowell catapulted Caly Bevier straight to the live shows. On September 07, Calysta Bevier was eliminated from America’s Got Talent 2016 at the semi-final stage. However, she made a great impact on every aspect of the show with her voice, her strength, her story and her personality, indeed she is a fighter! Due to the demands of her blossoming music career, she resorted to online schooling to complete her high school education. After her stint on America’s Got Talent 2016, the talented singer fully relocated to Los Angeles so as to further her music career. She signed on to a top management company and has been working hard to release her own original music. The talented singer has also landed several major events which have seen her share the stage with big names like John Legend, T-Pain, and Kevin Hart. Her fan base known as “Team Caly” has also continued to grow. Being a cancer survivor, Calysta Bevier equally dedicates her time as a cancer advocate to create awareness about the disease, raise funds for cancer research and more importantly restore hope to cancer patients and survivors. 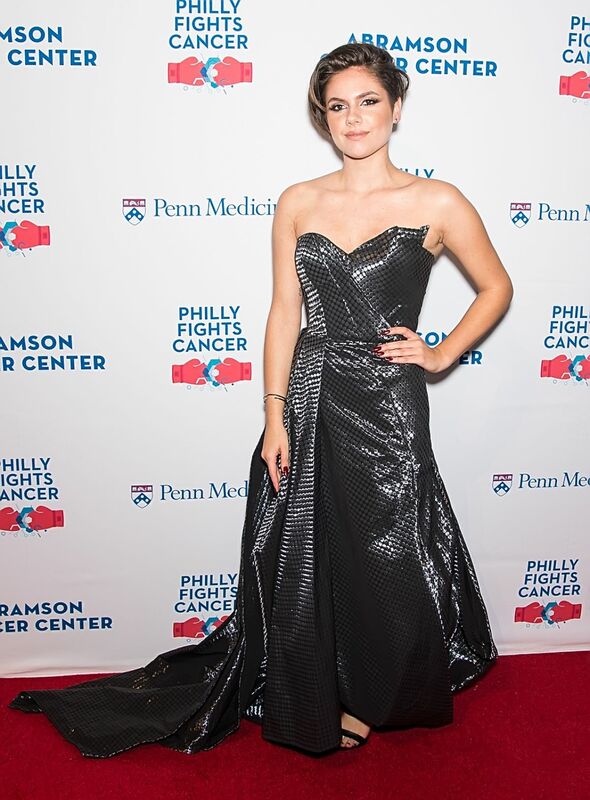 She headlined the star-studded 2017 Philly Fights Cancer event. 1. In the summer of 2015, then-15-year-old Calysta Bevier was diagnosed with stage 3 ovarian cancer. A big lump which the teenager had ignored for nearly one year was discovered to be a tumor. 2. Following the diagnosis, Calysta spent 2 months at the ProMedica Toledo Children’s Hospital where she received chemotherapy treatment. It was 2 months of pain and uncertainty, however, she maintained a positive outlook on life. She was never depressed, rather she went about comforting and inspiring other cancer patients in the hospital. 3. After her hospital stay ended, Bevier was invited to perform at a fundraiser held by the family of another young patient. The viral YouTube video which turned her into an internet sensation and changed her life forever was actually recorded by Calysta’s father at this event. 4. Thankfully for Calysta Bevier, her cancer went into remission in August 2015 and she has been free ever since!